Khaloibari in Kamrup metro district of Assam is one of the project villages under FARM North East II where lives, Keshab Das, as 62 years old farmer is doing all that is possible to inspire his own people. Keshab, a born farmer is blessed with the skills that make him different from other conventional farmers. 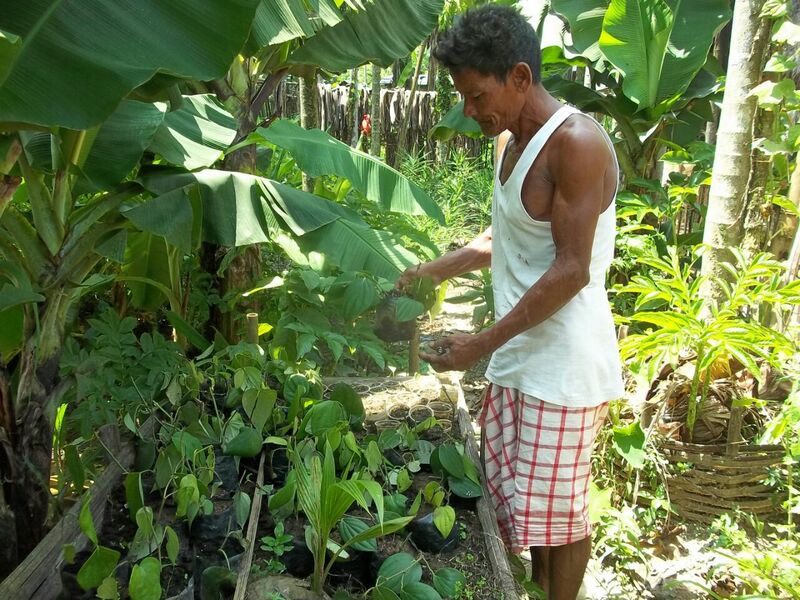 Keshab stuck to organic farming when all his fellow farmers resorted to chemical farming. Keshab was still adamant to keep alive the values of traditional farming that never encouraged chemical inputs. Keshab is also a custodian of knowledge on indigenous health system. He hardly goes to a hospital for any cure as he knows the cure by using plant resources growing in his garden and around. Keshab has always open to new ideas and technologies and he wastes no time in trying those useful ideas and technologies. It was for FARM NE I to come to his village with interventions in agricultural activities that made Keshab follow them religiously and do better and better in his fields. 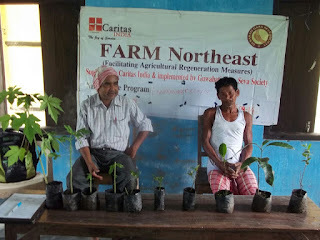 Today, Keshab is growing more than what he used to by putting practice the technologies he learned from Caritas India’s interventions under FARM North East. Keshab became an entrepreneur by selling products like paddy, vegetables and even compost that produced. Keshab is also a plant grafting expert, an art he learned before. He is selling a good number of grafted saplings to the open market. Three varieties of paddy seeds from Bangladesh have been grown by Keshab in his fields. These seeds in a very minimum quantity were brought by the State Officer from Nepal in 2015. Keshab ensured that he would grow the seeds and the story is not just over! Keshab is now willing to not only sell the paddy but also distribute among his fellow farmers. Keshab’s is not just a story but a saga of inspiration. The hardworking people of his village are looking forward to him to inspire them as always.